In her 30-year career in Arkansas, Kelly has managed people, projects, policy, and programs at state agencies, universities, and constitutional offices. She is also an experienced grant writer, meeting facilitator, strategic planner, and researcher. In her current role, developing and implementing strategy at a state agency, she introduced StrategicDoing™ into the agency as a capacity-building initiative. In addition to work with state agencies, she has both applied and academic experience in community and economic development. Her introduction to economic development was at the state policy level; she served as a Liaison for Economic Development for Governor Jim Guy Tucker from 1993-1996 before moving into higher education. 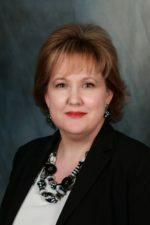 Highlights of her university-based community development work include leading the Center for Community and Economic Development at the University of Central Arkansas from 2009-2012 and authoring the Ed.D. dissertation, The Evolving Role of Higher Education in Community Engagement and Economic Development. In addition to StrategicDoing™, she has been trained in meeting facilitation by the Kettering Foundation and mindfulness in the workplace at Georgetown University’s Institute for Transformational Leadership. She earned her bachelor’s degree from Lyon College, a master’s degree in professional and technical writing and a doctorate in higher education administration from the University of Arkansas at Little Rock. Kelly is a fifth generation Arkansan with a mission to use her experience and skills to contribute to Arkansas. Contact her at kelly.lyon@arkansas.gov or @kellyhuntlyon on LinkedIn. Monieca West is an experienced economic and community development professional with extensive experience in managing teams and projects, non-profit governance, leadership development, community engagement, and technical writing. Following a twenty-six year career with a major telecommunications company, she has managed a federal program for the Arkansas Department of Higher Education for fifteen years. As a certified trainer for Bridges Out of Poverty and Workplace Stability, she works with colleges and community organizations to increase opportunities for under-resourced individuals. She is a Certified Career Services Provider and an approved trainer for the National Career Development Association Facilitating Career Developmentcurriculum. She is the president of National Association of Career and Technical Education Information, is a past chair of the international Community Development Society and has received numerous awards for service to community organizations and public education. She has been a board member of the American Indian Center of Arkansas for thirty years and is a former president of the North Little Rock School District Board of Education. Contact her at monieca.west@adhe.edu. Sam Evans is a Community Development Advisor for the Federal Reserve Bank of St. Louis. In this role, she fosters collaboration and conducts research and analysis on a variety of topics pertaining to workforce development and job quality. She currently serves on the Arkansas Community Development Society Board of Directors and sits on the University of Central Arkansas’s Community Development Institute’s Advisory Board. Prior to joining the Federal Reserve, Sam worked as a program officer with the Winthrop Rockefeller Institute. Sam holds a certification in Strategic Doing from Purdue University and is a Professional Community and Economic Developer (PCED). She holds a bachelor’s degree in political science from Spelman College and a master’s in urban and regional planning from the University of Minnesota.